Hi! We are traveling to New Orleans for the Rock n Roll Half Marathon this Sunday! 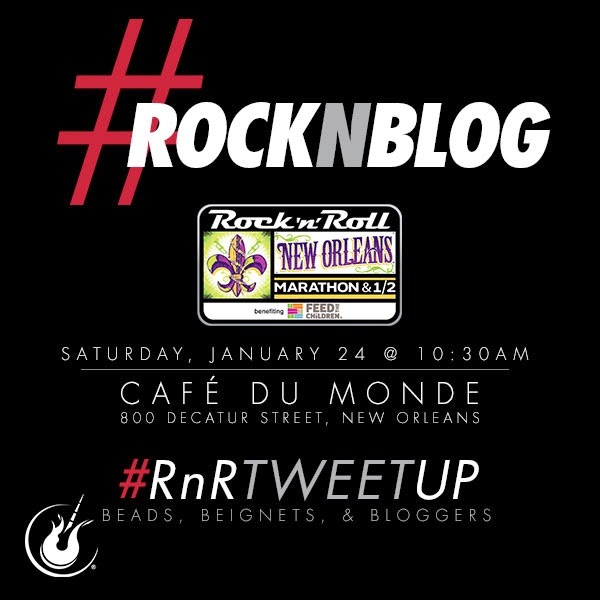 If you are in the area, come join us tomorrow morning at 10:30, Cafe du Monde for a tweet up full of beignets, beads and fellow Rock n Bloggers!